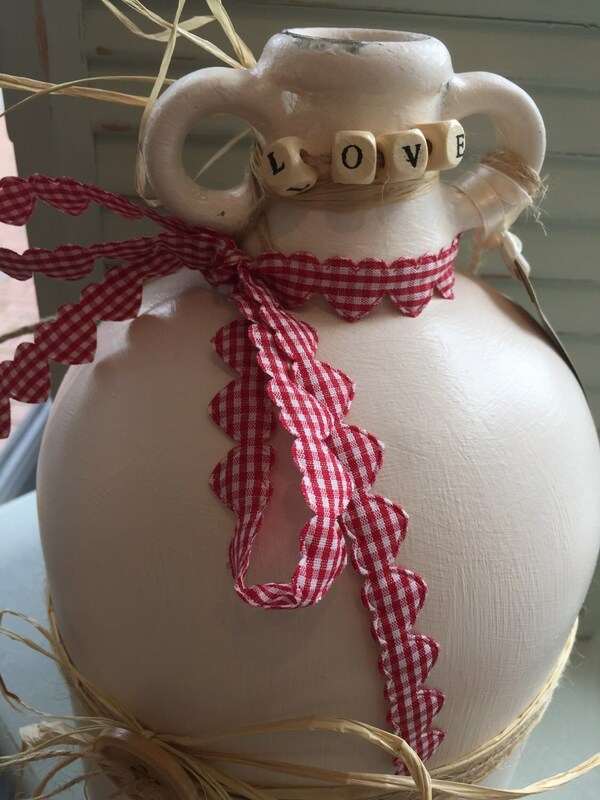 A clotted cream hand painted glass demijohn jar. 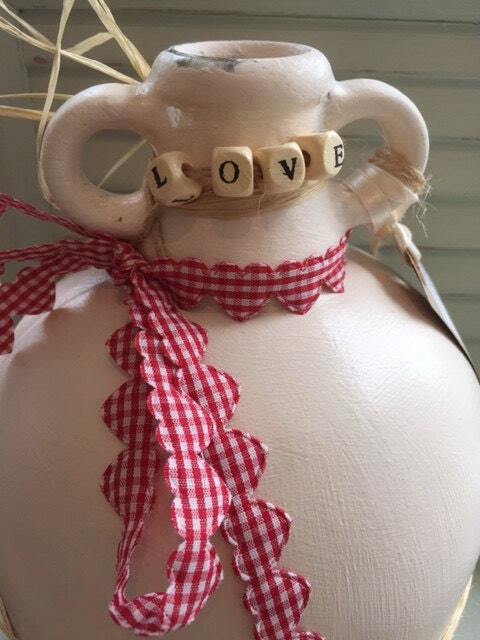 Decorated with beaded inspiring words "LOVE" to remind you of the ones you love. 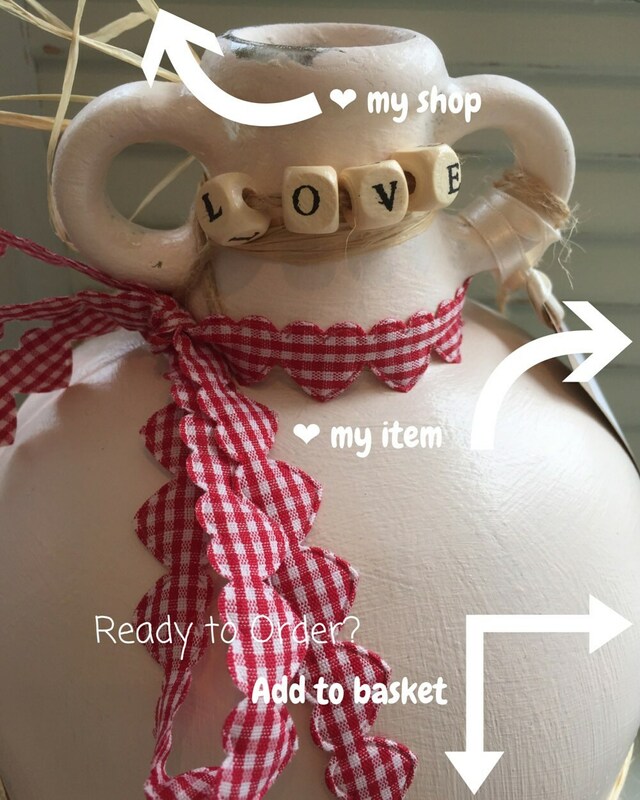 It's all in the detail with a vintage style hanging key charm, red gingham heart ribbon, raffia and twine and buttons. 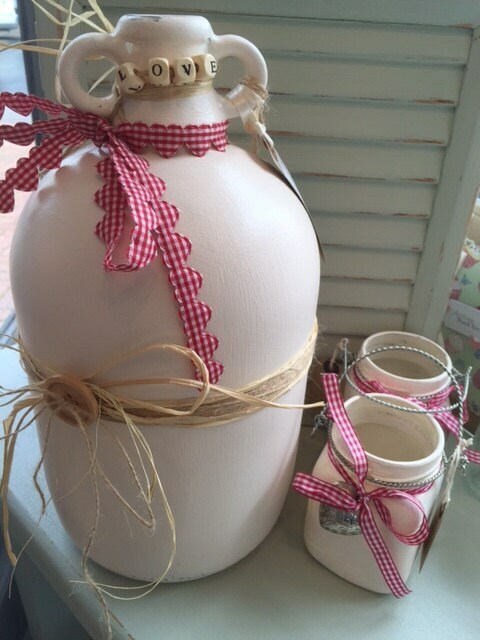 This would make a lovely piece of cream and red home decor for interior styling. Wedding decorators, planners and co-ordinators take note as these jars make excellent arrangements for table settings, as vessels for flower arrangements or table numbering. Please see my other listing for variations on styles and colours.